Now, you can DRAW movies, AND you can draw ON movies! 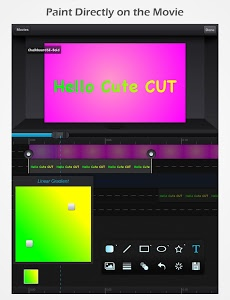 Cute CUT’s powerful, easy-to-use editing features put YOU in control, allowing you to make the highest quality movies, DIFFERENT from anything you’ve seen! Do you want to create your own unique movie? 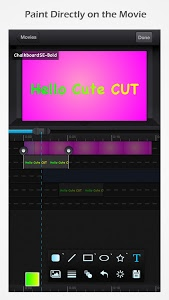 Cute CUT’s robust and intuitive feature set will have you doing so in no time, drawing gorgeous, one-of-a-kind movies and so much more! We’re continually working to enrich and strengthen Cute CUT’s top-tier functionality, and its refreshingly simple, unique presence in today’s digital market. Are you with us? Join more than one million others who’ve dared to discover the delightful difference that’s Cute CUT! Just drag and drop; you can arrange your media segments easily. Sleek, bookshelf-style organizer showcases your movies. 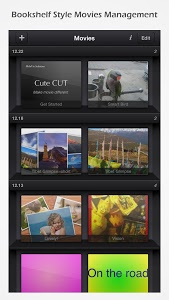 UI supports both portrait and landscape modes. 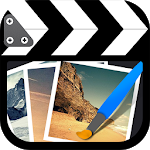 - Make DIFFERENT movies, make movies DIFFERENT! 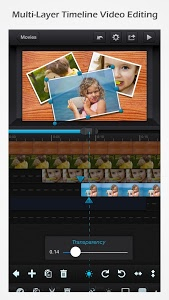 Supports SIMULTANEOUS Adding of UP TO SIX different types of media into movie projects: Video, Photo (both from Album or Camera), as well as SELF-DRAW, Text, Music, and Voice. - Supports various Resolutions and Aspect Ratios, including HD (16:9), SD (4:3), SQUARE (1:1) and even Portrait Mode! 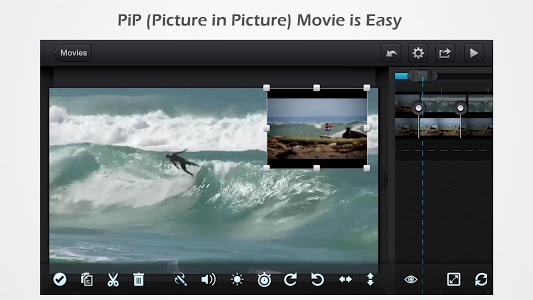 Creating a PIP (Picture-In-Picture) movie is EASY: Merely place one movie atop another; Cute CUT even supports independent Resizing of each and every video segment! 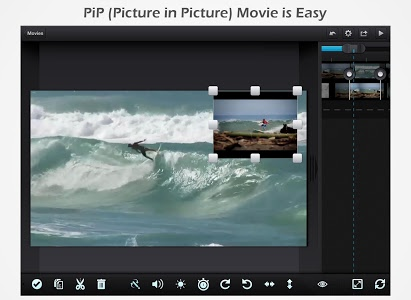 - Draw directly on movie. - 3 Advanced Brushes for pro effects: Texture, Linear Gradient, Radial Gradient, gradients editable. - Transparency, Border, Corner, Shadow, Transform, and Sound Volume ... ALL Customizable! - Multiple Tutorials, and even Full Video Walkthroughs available, easily accessible. You can upgrade to Pro to obtain the following features. 1. 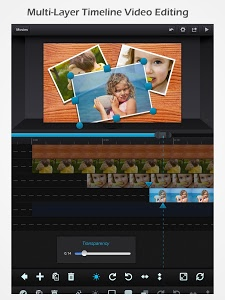 Fixed audio and video out of sync issues in the output video. 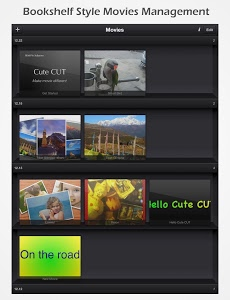 Similar to "Cute CUT - Video Editor & Movie Maker"